The musings of a woman old enough to know better, who learnt to knit and to write at about the same time. Since the age of about thirteen, I have designed my own knitting patterns. This was partly through necessity - being an oversized teenager meant that nothing I wanted was available off the shelf. Over time, this has meant that I have developed a snobbery about doing things "my own way". I remember standing at the Black Sheep stand at Ally Pally once, overhearing a lady say that she wouldn't buy the yarn that she was holding, unless she could find a pattern to make from it. I simply couldn't understand her - surely she could ad least adapt, if not substitute? What was wrong with the poor dear? Ann Budd patterns aside, I have nearly always designed my own knitted and crocheted clothes, hats etc but the last year or so has brought a change. 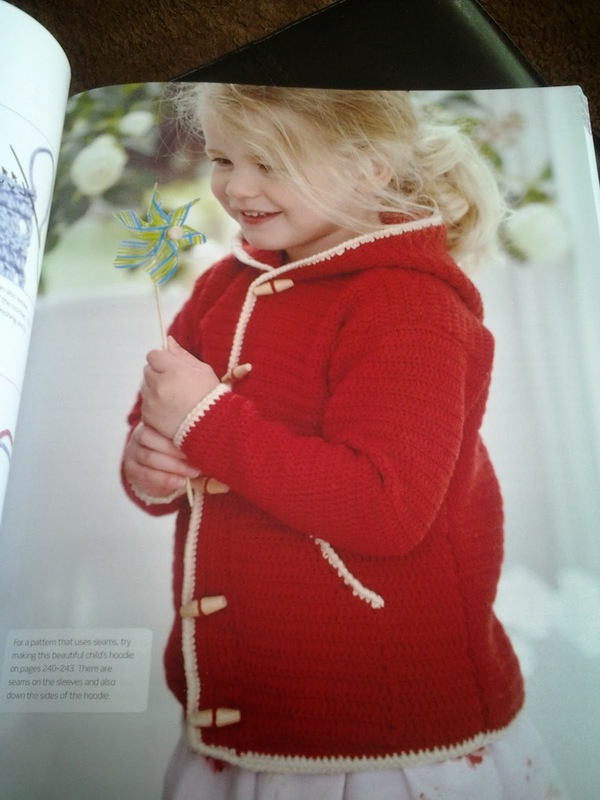 It all started with a duffle coat made for my great niece. It was a lovely pattern but everything was done the opposite way around to how I would do it (placing the pockets etc). Then, family members have asked for things to be made (hats and the like), which have necessitated me using another designer's pattern. From each item, I have picked up a new way of doing things. So this is going to be the year when, as a rule, I don't design, but use other people's patterns. Of course, there may be some adaptation involved (I've recently reverse engineered a knitting pattern to turn it into crochet), but essentially, I am learning from others and enjoying the experience. Next stop - pair of gloves for my sister. Who knows what might follow. 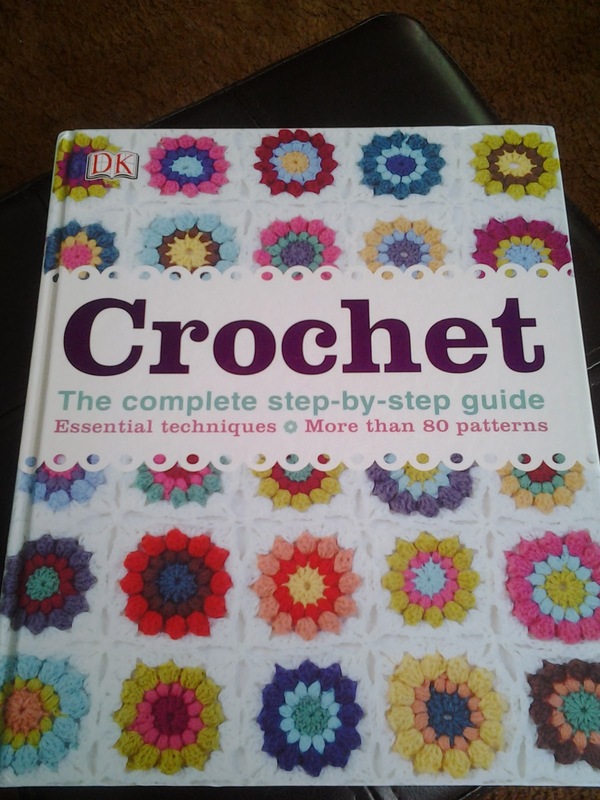 Here are a few designs published in "Crochet" which is published by DK. I got my copy today and was delighted. Although the cardigan from my last post wasn't that slow to make, it did get a bit monotonous and so I was glad of something quick and easy. 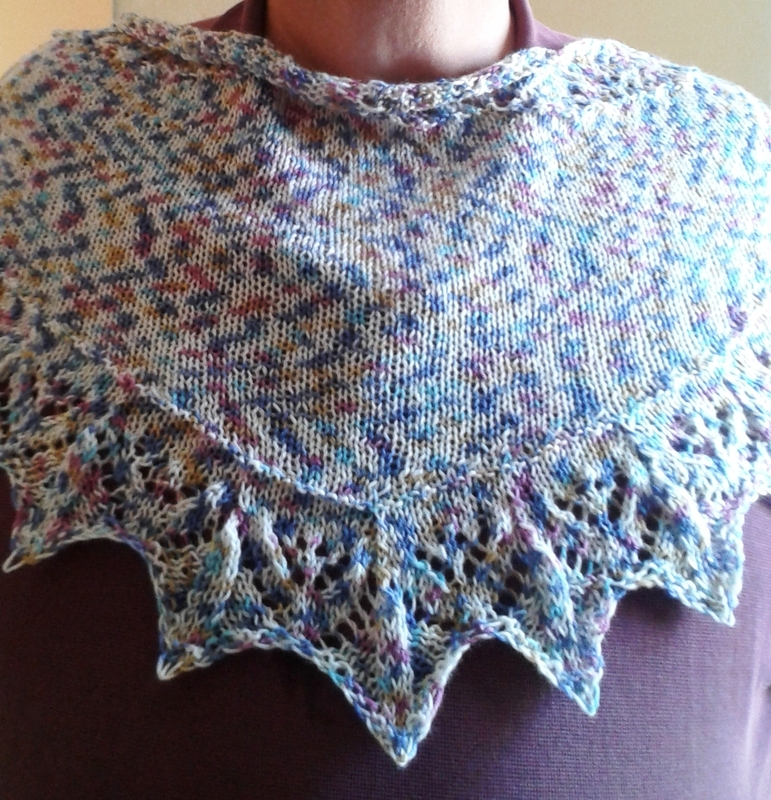 The yarn is Lanas Stop "Kaippo" which was bought on holiday in Tenerife last year. It's very soft and I fell for the colours. 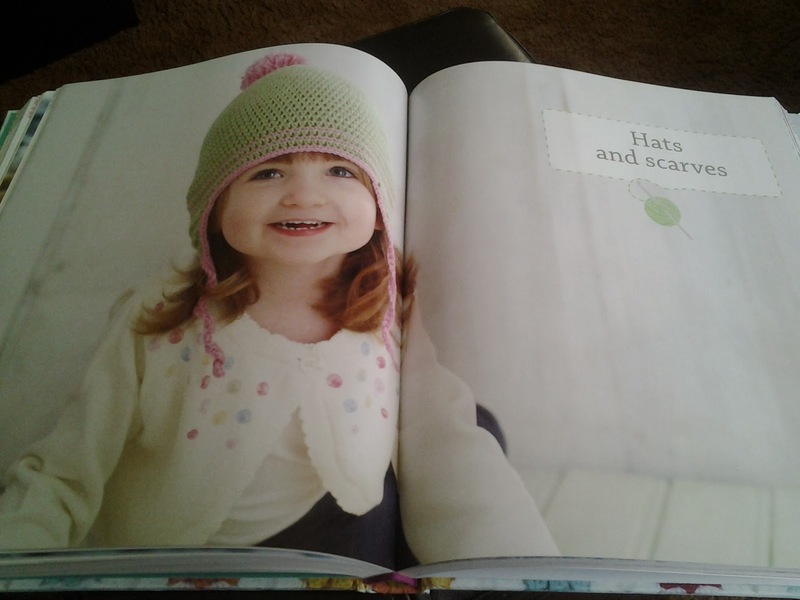 The hat was made by working the brim and then sewing it into a loop, picking up the stitches and working out the crown. The first few rows (behind the brim) are K1, P1 rib, for a better fit. Started a moebius/Mobius scarf and it then occurred that handwarmers would be more useful. So I made them from the other end of the ball, leaving the Mobius to be finished with whatever yarn was left. 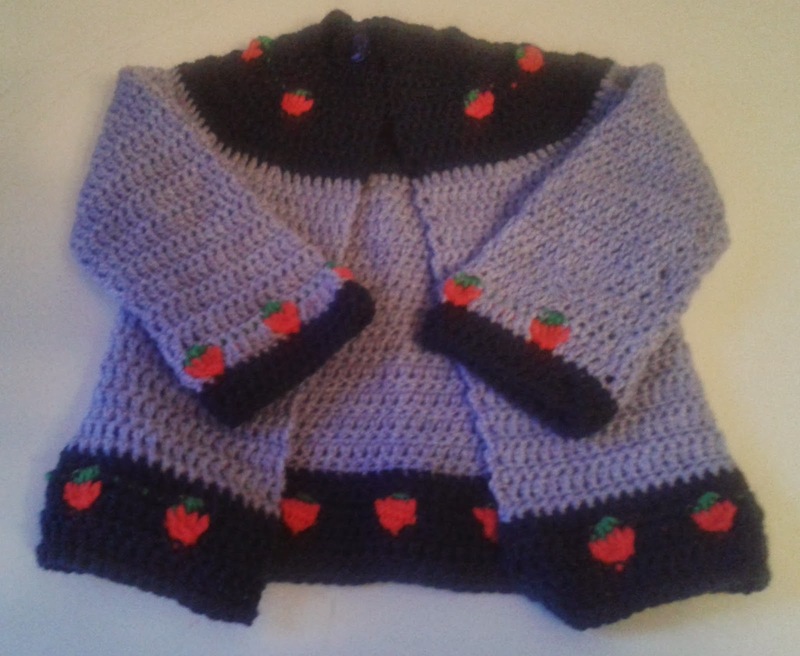 Last year, for Christmas, I made a really pretty little cardigan "Petite Fraise" by Joanne Scrace for my great niece. Unfortunately, is was a bit on the short side - nothing wrong with the pattern, little Fearne is long and tall for her age (her Dad's 6'4" and she seems to be following in his footsteps. So I decided to make another one, this time in two colours (plus the strawberries). Used up some generic acrylic DK from the stash. But I have also been trying new things. I've been looking at "contiguous" patterns for a while (top down, set in sleeve, all in one) and knew that I couldn't attempt to construct a pattern without having made one. This seemed a great opportunity to use a ball of Drops Verdi that I had bought a while ago (1 ball = 1225m). According to the ball band, this should be on large needles but, for my taste, it made the fabric too airy. 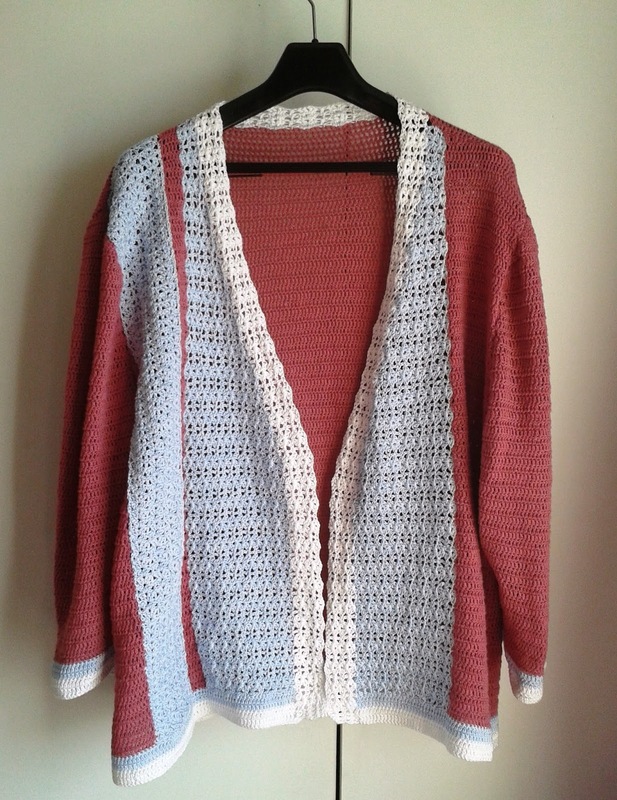 I swatched on 4.5mm needles and found a pattern to match - My Casual Cardigan by Elena Nodel. 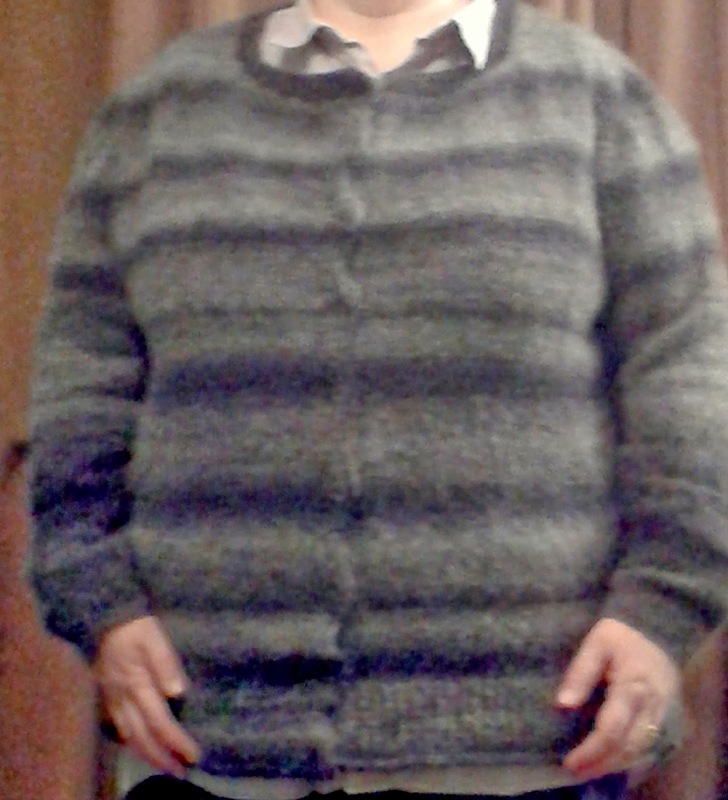 That has a cable panel and collar, which I didn't want, but gave the shaping etc which I did. Happy with the result - had to do a bit of juggling with the yarn to try to get the sleeves something like each other in terms of striping. The yarn is lovely - bulky but very light and much softer than it looks. 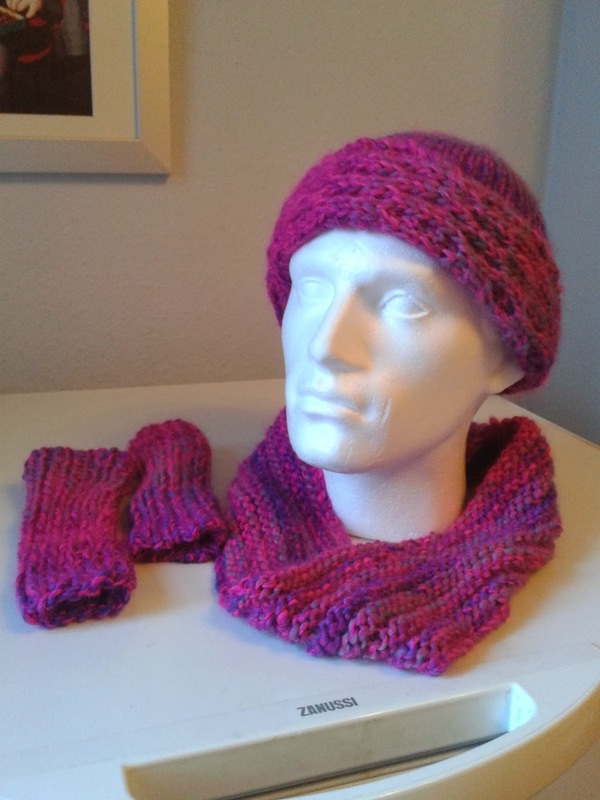 A quick knit and a machine washable result. Jobs a good 'un. Not much blogging done - but a fair bit of knitting and crochet (weaving shamefully quiet). 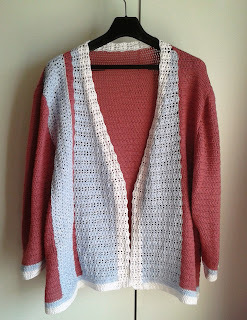 The idea was simple - I had a cone of 4ply cotton - perfect for a summer cardigan, perfect to work on, during my holiday. I feared it would be boring, so I bought (a ridiculous amount of) blue and white 4ply for the edges. As it turned out, this was a slightly heavier 4ply, but as it was for the cuffs, welt etc, wasn't a problem. I was using the wonderful Ann Budd's pattern and making a round-necked sweater, with the white a blue edging, like a Chanel inspired piece. I did the edgings before going away. The holiday was good and thanks to audio books, I got the back and both sleeves done while in Tenerife. It began to occur to me that I didn't have enough pink to do the two fronts. As the blue and white were a little heavier, I didn't want to use the same stitch pattern, so added a shell/lace panel instead. Then I realised there wasn't enough to do even this on the second front! So, I had to put another panel up the front, with a thin pink strip to try to tie it all together. Because it was a shell pattern, working a V-neck proved much simpler. I'm happy with the end result, but would have preferred both sides to have just the pink and single blue piece. As I've unpicked it several times, (while working out what I could do with the remaining yarn), am glad to have it done, more than anything. 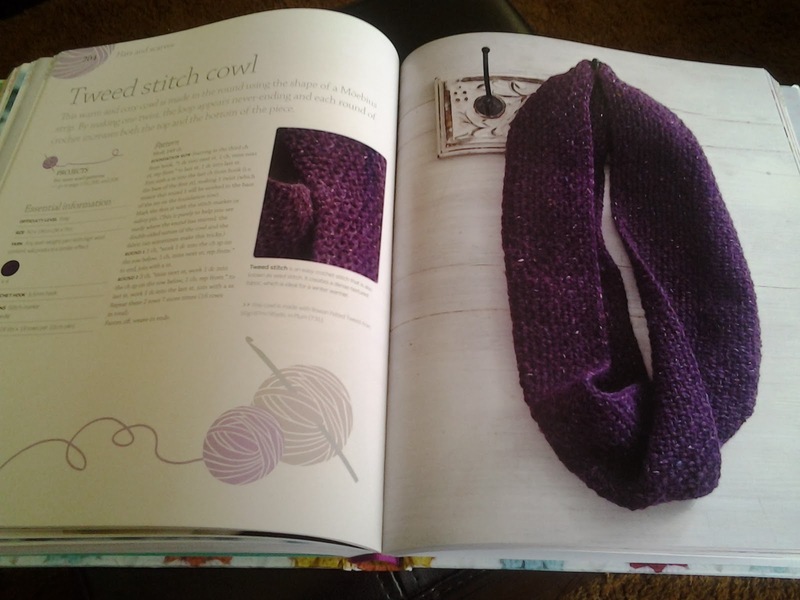 This is a quick little project, using up some sock yarn that was received as a freebie for subscribing to a mag. Has given me ideas about shawl construction/designing. Modelled here by the long suffering one - bless him! Patterns - some of my own, and others I found along the way. Lah Lah has been knitting since she was four(many, many years ago...) and so is enjoying the current trendy image that the craft has - but she'll still be knitting when it's no longer cool. My google site, where some of my patterns live. The adventures of big sock!